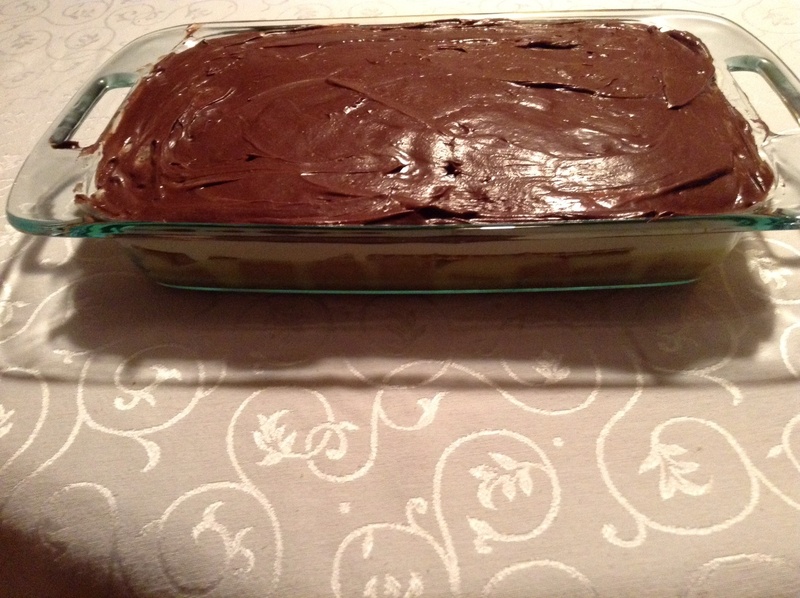 Share the post "Eclair cake"
2 boxes of instant vanilla pudding (4.6 oz boxes, the large ones) two thirds of a box of graham crackers, cool whip, can of chocolate icing. Put a layer of graham crackers on bottom of pan, mix first box of pudding and cover graham crackers, put another layer of graham crackers on that, mix second box of pudding, when it sets mix it with the cool whip then spread over second layer of graham crackers. Refrigerate for 3o minutes. Put icing in microwave safe dish, then cover cake. Refridgerate for an hour. Ready to serve. Microwaving the icing makes it much easier to cover pudding.